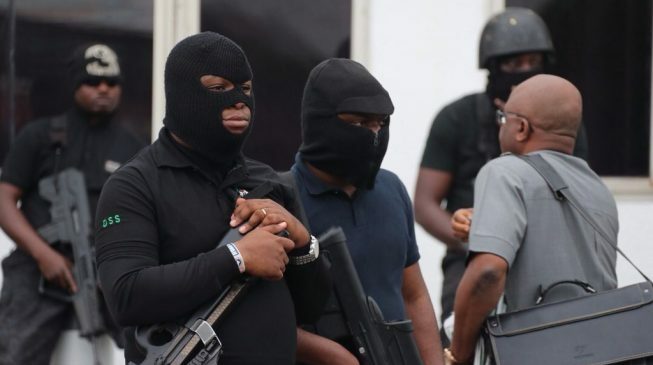 Operatives of the Department of State Services (DSS) have left the national assembly after a siege which lasted over seven hours. This happened shortly after Acting President Yemi Osinbajo fired Lawal Daura, director-general of of the organisation. The operatives had prevented lawmakers from gaining access to the chamber. They were let into the premises after protests by lawmakers. No staff of the national assembly was let in. Operatives of the Department of State Services (DSS) have left the national assembly after laying a seven-hour seige. The operatives had prevented lawmakers from gaining access for about 40 minutes. The operatives pulled out of the national assembly after the news broke that Lawal Daura, director-general of the DSS, was fired by Acting President Yemi Osinbajo. No reason was given for his sack but it is not unconnected to the seige on the assembly. He was asked to hand over to the most senior official in the service.